The card challenge at Catherine & Cathy Create this month is "Rock-a-Bye Baby," or anything baby related. It just so happens that I made this adorable baby shower invitation a few weeks ago, and I knew it would be perfect! Personally, I like postcard style cards for invitations. This way the recipient can hang it on their fridge (or wherever) and the information will always be visible. When I set the type on my computer (I used the typeface Thin Skinned), I knew I wanted to be able to stamp a critter from the Zoo Babies stamp set. So, I left an empty spot that ended up being perfect for the elephant! 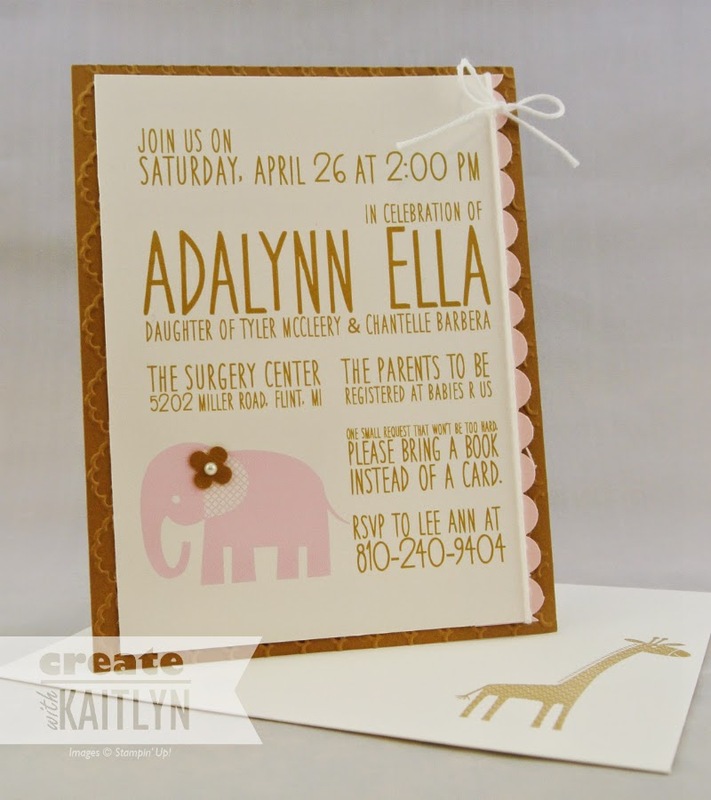 There are a few touches that make this invite perfect for the celebration of a little girl. The Pink Pirouette Scallop Edge with the sweet White Baker's Twine bow soften everything up just enough. The Baked Brown Sugar flower, from the Itty Bitty Punch Pack, with a pearl sends the sweetness of the card over the edge. 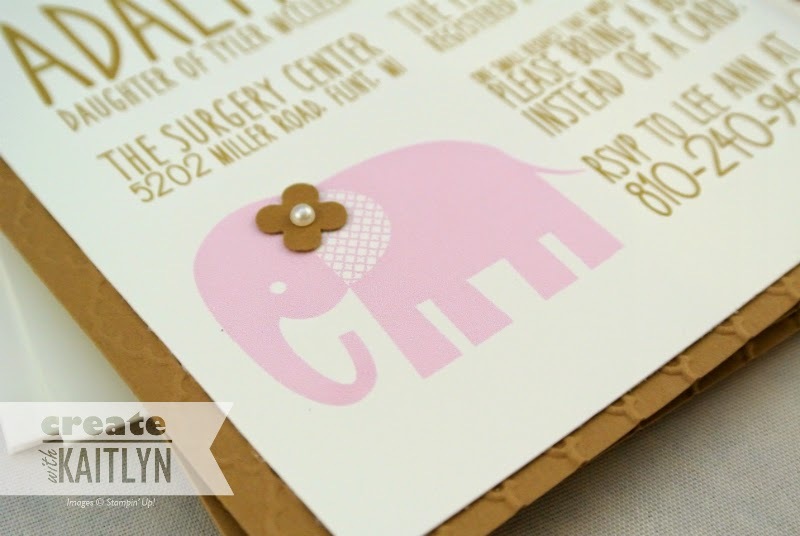 Its such a simple and fast, but adorable, invitation! Head on over to Catherine & Cathy Create to get inspiration from the other desingers and join in on the challenge!